NPT / Reports / NPT Top100: An In-Depth Study of America’s Largest NonProfits. The nation’s largest charities took advantage of a continuing bull market, seeing investment income soar, but also enjoyed healthy contributions in public support and other revenue during 2017. Total assets topped $1 trillion. The NPT 100, the oldest study of the nation’s largest nonprofits with at least 10 percent of revenue derived from public support, totaled revenue of more than $81 billion, up about 5 percent. The 30th annual study is just a snapshot of one year but each category of revenue was up in the aggregate for the 100 nonprofits, a year after seeing declines only in investment income and other revenue. Public support for these 100 organizations totaled slightly less than $45 billion, up more than 6 percent from the previous year. The largest revenue swing came from investment income, where revenue shot up 59 percent, to almost $3.7 billion due to strong stock market returns. Government support, which can include support not just from state or federal government but also foreign governments, was up 3 percent to almost $10.4 billion. Program service revenue was up again in 2017 but barely more than the previous year at $19.28 billion. On the expense side, the 100 nonprofits had modest increases of less than 3 percent across most categories with the exception of fundraising, which jumped 7 percent to $3.9 billion. Expenses were $76.88 billion, up 2. 87 percent. Program and administrative expenses both were up about 2.65 percent, to $67 billion and $5.95 billion, respectively. The year 2017 “was more about the economy,” said Daniel Romano, partner, tax, Not-For-Profit Tax Practice, at Grant Thornton LLP in New York City, which helps to compile and analyze financial data for The NPT 100. “The economy had a great year in 2017, with more stability in personal finances leading to an uptick in giving and maybe even more giving by donors who feared losing the charitable deduction in 2018,” he said. Financial data culled from the federal Form 990 is not infallible as there’s bound to be some double-counting among the 100 largest nonprofits, with grants and funding going from one to another. For instance, it’s common for the American Cancer Society to award research grants to Dana-Farber Cancer Institute. United Way Worldwide has more than 1,000 affiliates in the United States and many award funding to other charities and their chapters. In 2017, it awarded some $423 million to 18 organizations that also made The NPT 100, usually the largest organizations, such as, Boys & Girls Clubs of America, $63 million; American Red Cross, $61 million; The Salvation Army, $55 million; The Y, $53 million, and; Catholic Charities USA, $48 million. 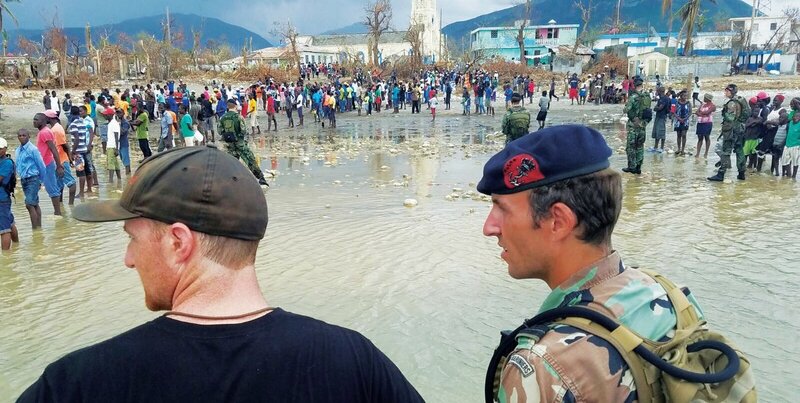 Hurricanes Harvey, Irma and Maria made their presence felt not only in the regions that they struck in August and September of 2017 but also in terms of fundraising. United Way affiliates in Texas and California reported among the largest increases in support throughout the system in 2017 as donors responded to Hurricane Harvey and wildfires that ravaged Northern California. United Way of Greater Houston is typically among the largest affiliates when it comes to fundraising but had an exceptional boost, up 55 percent to $122 million in 2017, by far the top total in the country. Santa Rosa, Calif.-based United Way of the Wine Country isn’t nearly as large in the aggregate but saw four times the support it did in 2016, up from $2.5 million to $10 million. Hurricanes played a large role in fundraising when it came to United Way affiliates but given the timing of fiscal years, in many cases the money raised and spent for disaster response didn’t appear on FYE 2017 tax forms. Hurricane Harvey struck the Houston region in August 2017, followed in September by Hurricanes Irma and Maria making landfall in Florida and Puerto Rico, respectively. For organizations that had already ended the fiscal year in June, those contributions and expenses won’t be seen until tax forms for the year ending June 2018 are filed -- which are due this month, unless they file for an extension. That would include organizations such as the American Red Cross. The Houston Food Bank had revenue continue to grow of late; with 2017 revenue of $210 million being a modest increase from $196 million in 2016 but that includes nothing related to Hurricane Harvey because its fiscal year ended in June 2017 -- two months before the storm. Organizations where the fiscal year ended September 2017 will see hurricane- related contributions straddle two fiscal years. The Salvation Army raised $125 million in response to last year’s hurricanes, according to Lt. Col. Ward Matthews, a spokesman for the Alexandria, Va.-based charity. An estimated $60 million was generated during the fiscal year that ended September 2017 and $65 million the fiscal year that ended this past September. Salvation Army has spent about $30 million of the total so far on recovery in areas like Houston and Puerto Rico. The Salvation Army responded to a variety of disasters behind the hurricanes last year, including wildfires in California, lava flows in Hawaii, and aiding farmers who lost cattle in flooding. The iconic Red Kettle campaign, traditionally lasting from Thanksgiving through the holiday season, had contributions dip for the second straight year, down about $4 million to $144.5 million. Despite the overall decline, the Red Kettle campaign continues to see huge growth in online donations, 26 percent last year to more than $45 million. “We have known for some time that ringing the bell is kind of diminishing returns, because people don’t carry a lot of cash anymore,” Matthews said. Making donations that way has kind of topped out and the organization is experimenting with how to get those donations digitally, he added. The Salvation Army has tried testing smaller initiatives, from using barcode scanners at kettle locations to having mayors of various cities compete for the honor of bell ringing and raising the most money. Organizations like Americares and Direct Relief experienced record revenue in Fiscal Year 2017. Much of it was the result of Gifts In Kind (GIK) pharmaceuticals but also in gifts increase in response to disasters. Cash revenue from 2017 was up to approximately $70 million. Much of that was due to hurricane fundraising but also of a very strong end of calendar year 2017 of direct response revenue, with donors giving online and in the mail. It was also a big year in corporate support and employee giving. 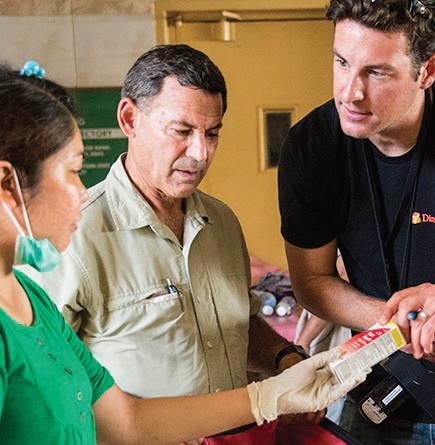 The attention that Direct Relief gets during times of crisis is what drives other people to raise money for the Santa Barbara, Calif.-based nonprofit, which has seen a dramatic shift in online giving in recent years. As recently as 2016, donations through Direct Relief’s website outnumbered by 9-to-1 gifts made via third-party platforms such as Network for Good, Facebook Fundraisers, PayPal Giving Fund and others. In 2017, however, donations through those platforms exploded, growing 30-fold and outnumbering donations via Direct Relief’s website by 30 percent. So far in 2018, Direct Relief has received roughly twice the number of donations from third-party platforms -- about 16,000 one-time donations -- as through its website, about 7,200 one-time donations. Online gamers have organized marathons to generate donations during the past few years, after a headline-grabbing disaster or emergency. Direct Relief received 42,000 donations in 2017 via the gaming platform Tiltify, up from fewer than 600 the previous year. The gaming industry has raised more than $4.3 million for the charity since 2011. CEO Thomas Tighe estimated that individual giving makes up about half of contributions, with the other half split among grantmaking foundations and corporations. “The biggest growth has been individual donors who find us,” he said. 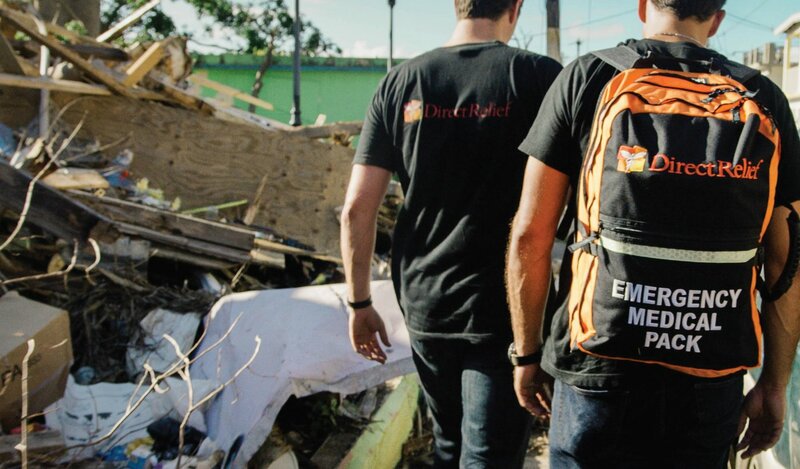 Direct Relief doesn’t do traditional direct marketing but during a disaster makes sure that people see the work that it does, being visible on social media and search engine marketing. “People seem to prefer to find charities they’re interested in, instead of being mailed stuff,” Tighe said. Direct Relief was inundated with questions on its Facebook page after Hurricane Harvey, which had several hundred thousand followers, and couldn’t keepup as response time went from about 60 minutes to more than 24 hours. To respond to each question about what the organization is doing or what areas it’s working in would have required a huge staff working around the clock. Instead, Direct Relief set up a chatbot on Facebook Messenger, which sent an automated, immediate response. With automated messages, response time went back to less than a minute. “We can see on the back end what questions were not answered, and either create new ones or assign answers,” said Tony Morain, director of communications. Most information on the website is updated with recent disaster information because inquiries usually are about such events. “It’s something that makes so much sense for nonprofits, who are focused on efficiency,” he said. Feeding America has put a laser-like focus on growing monthly giving across all channels but especially online during the past few years. “That revenue snowballs year-over-year,” said Liz Nielsen, senior vice president, direct marketing and digital engagement. With the tremendous amount of web traffic from disaster related exposure, Feeding America revamped its donation form with the goal of making a more emotional connection. Nielsen said they looked at the way its donation form is rendered on desktop and mobile, making sure there are fewer things for a potential donor to click, and examining that conversion from a desktop and mobile perspective. Increasing mobile conversion was a primary goal for 2018, she said. Chicago, Ill.-based Feeding America has had a monthly program for some time but there’s been a “hyper focus” the past five years, she said, resulting in year-over- year growth upward of 20 percent. “Certainly, the predictability of a monthly donor is incredibly attractive, but there’s also that commitment from that donor base that is critical,” Nielsen said, crediting the behavioral change in the market, with people now open to monthly subscriptions for services like Netflix and Hulu. And of course monthly giving does wonders for donor retention. Getting a donor to renew after an initial gift is a primary focus, Nielsen said, adding that donors giving for more than three years have a retention rate of about 70 percent. Giving has been relatively flat so far in 2018 but Grant Thornton’s Romano expects to see an uptick and corporations are likely to boost efforts, albeit in other ways. Corporations are using some of their tax reform savings for corporate social responsibility (CSR) programs or other initiatives that might not be measured, such as, a new initiative by Walmart to offer tuition discounts to employees for certain degree programs. Corporate leaders might decide whether to fund their own foundations, match employee giving or some combination, Romano said, but a lot of what they do will be on their own. “A number of them set up foundations last year. We’ve seen it with some of our corporate clients, that funding will start to come in 2018,” he said. Campaigns at the United Way of Greater High Point in High Point, N.C., increased for seven or eight straight years before finally declining about 3 percent in 2017, dropping below $5 million in support, said president and CEO Bobby Smith. With few corporate headquarters in the area, every acquisition or merger typically hits the local United Way hard, he said. There have been three major corporations that went through an ownership change, merger or acquisition in recent years, resulting in a decline of about $300,000 in support to Greater High Point. Smith said the affiliate has been able to make up about $150,000 in support elsewhere. A social media presence is more important than ever because it’s how a lot of people get information about United Way, he said. “More and more campaigns are in the e-pledge environment, so you’re not in front of people, face-to-face, as much as you used to be,” said Smith, who started with United Way in 1992. United Way of Greater Attle-boro- Taunton began discussions with the United Way of Massachusetts Bay about a potential merger after one local corporation created its own charitable foundation and another pulled out of the local United Way campaign. Program service revenue was fairly flat last year but has been on a slight upward trend, while other revenue was up about 4 percent. “Organizations are doing more programmatic activities as opposed to grantmaking,” Romano said. “Organizations are looking for more ways to bring money in, whether selling ancillary items, assets that can be used, like property that’s rented out. They’re doing it to make extra money for programs,” he said. Expenses for the nation’s largest nonprofits increased in 2017 but by a fairly low measure, about 2.5 percent overall. Program expenses and administrative expenses were on par with fundraising expenses rising slightly more, about 6.5 percent. “If you have such an increase in contribution income, expect that to be the case,” Romano said. One organization that has seen growth continue strongly during the past three years is the Task Force for Global Health. The Decatur, Ga.-based nonprofit moved into three floors of its new headquarters in early 2018 and must raise an additional $6 million as part of an ongoing $15-million capital campaign to renovate the facility’s remaining three floors. The headcount has grown by 20 percent a year since 2016, from about 99 employees at that time to 140 in 2018. Administrative expenses have grown correspondingly, from $2.7 million in 2014 to $6.5 million in 2017, up 42 percent compared to $4.6 million in 2016. Staff growth is a result of new programmatic funding for its programs to control, eliminate and eradicate disease and strengthen the broader systems that protect the health of populations,” said Poul Olson, chief communications and development officer of Task Force for Global Health. The Barack Obama Foundation had the largest growth within The NPT 100, with overall revenue going from $13 million in 2016 to $232 million with groundbreaking expected on the presidential library in 2019. Expenses also grew from $5 million to $22 million, across all three major categories, as activity ramps up for the Chicago-based organization. More than 50 donors have contributed at least $1 million, including family foundations, as well as the Bill & Melinda Gates Foundation and the Ford Foundation, and the Oprah Winfrey Charitable Foundation. Almost $12 million, or about 5 percent, of the $232.5 million raised by The Barack Obama Foundation in 2017 was from corporations and foundations. Recent presidential foundations and libraries typically ramp up fundraising within the first several years of their creation, ahead of groundbreaking milestones. The George W. Bush Foundation cracked The NPT 100 in 2011, about three years after it was established and a year before major construction got under way on the facility at Southern Methodist University in Dallas, Texas. Revenue leapt from $24 million in 2008 to $152 million in 2009 before peaking at $161 million in 2010 for the Bush Center and then dropping off to $77 million in 2011. The Bush Presidential Center opened in 2013, five years after George W. Bush left office, and in the most recent year available (2016), operating revenues and expenses totaled almost $22 million. The Barack Obama Foundation museum and library will include a 5,000-square-foot branch of the Chicago Public Library, as well as a program and athletic center, children’s play area and great lawn. The 13th presidential library will be in Jackson Park, a national historic landmark designed by Frederick Law Olmsted and Calvert Vaux listed on the federal National Register of Historic Places. The center will include a 165,000-squarefoot tower, a conference and recreation center, and outdoor space. Scroll with mouse, or click on chart and use arrow keys. 1: In-kind services include donated services, products. 2: Audited financials. 3: Government support includes grants and fees. 4: Unaudited compilation from member clubs + audited financials of national office 5: FYE 2016. 6: Revenues, expenses of National Council; only unrestricted revenues, expenses for ~270 local councils. 7: Consolidated financials includes 501(c)(4). 8: Public support includes some overlap with government support. 9: Compilation of FYE 2017 990 data for 53 affiliates; FYE 2016, 131; FYE 2015. 10: Compilation of FYE 2017 990 data for 11 affiliates; FYE 2016 or earlier for 122 affiliates. 11: Compilation of FYE 2017 990 data for 2 affiliates; FYE 2016, 145; FYE 2015.